Hollywood Gothique surveys the beginning of this year's haunting festivities: what's late, what's great, and what's worth the wait. Come along with us...if you dare! So far, Halloween 2013 is off to a slow start. Believe me: I never thought I would write the sentence above. For the past few year, the ever lengthening time-span of the Halloween season has become a running joke at Hollywood Gothique. In fact, in 2012 I tentatively predicted that in 2013 the major Halloween theme park attractions would open on September 13, because the temptation to launch on unlucky Friday the 13th would be too great to resist. That prediction failed to materialize. Yes, Disneyland Halloween Time started on September 14, but a mid-September start is typical for the family friendly event. Both Halloween Horror Nights at Universal Studios Hollywood and the Knotts Berry Farm Halloween Haunt began a day earlier than they did in September 2012, but only because of the way the calendar lined up. Only the Empty Grave in Anaheim truly expanded the season in a notable way, with a soft opening in August before getting up to speed in September. In fact, it is only a slight exaggeration to state that this year's Halloween "pre-season" (roughly the last 11 days of September) staggered out of the starting gate with all the speed of zombies shuffling through a cemetery. Delusion: Masque of Mortality had its September opening pushed back into the first week of October, because of permit problems. The Old Town Haunt Halloween Attraction, which used to run throughout October, will not open its catacombs until this weekend (sadly, for what will be its final year). Even haunts that did open early are holding off their media-press events until this week, and two press nights were pushed back at the last minute - indicating that the haunts were not up to speed. In at least one case, the delay was the result of negative reactions to opening weekend in September. If all this sounds dark and dreary enough to dampen your Halloween spirits, fear not. There is a crimson lining to this black cloud: the Halloween events that we have perused are worth their weight in blood and bone. We have reviewed them fully elsewhere, but here is the condensed version for those so eager to run out and be scared that they have not the time to read a review at length. Knotts Scary Farm is energized this year, like the Frankenstein monster after receiving a bolt of lightening. The new mazes are impressive; the returning mazes are worth revisiting. And the actors bring the ghost town to life with ghoulish enthusiasm. The Wicked Lit Halloween Theatre Festival at in Altadena is putting on their best trilogy of terror ever - three short plays staged within and around the Mountain View Mausoleum and Cemetery. The immersive quality of the experience is better than ever before, thanks to clever staging that exploits the settings to unnerving effect. And the new "Masque of the Red Death Experience" - interstitial entertainment between the plays - wraps the whole evening up into a supremely satisfying, if gore imbued, package. Halloween Horror Nights has crafted some of the best mazes they have ever created - which is essentially saying they have crafted some of the best mazes every seen in any Los Angeles Halloween attraction, because Universal Studios is the state of the art in this regard. The actual scare strategies could use some variety, but the production values are beyond belief. The Queen Mary Dark Harbor went off course a bit with a circus-theme, but they also added five short "Freak Shows" - actually mini-mazes that require separate fees for admission. They range from short, single-scare walk-throughs, to comedy with a talking skeleton, to low-visibility labyrinths that will have you stumbling into walls trying to find your way out. Best of all: the scares are directed at you personally, because only small groups are allowed in at one time. Haunted Hollywood Sports - after a weak debut in 2012 - proved to the press on preview night that they were coming back new and improved for Halloween 2013. This paintball and airsoft facility provides scare zones and mazes, but the real appeal is the "Zombie Killhouses," wherein you lock-and-load, killing off undead hordes as you try to complete a mission. It's a simple idea, but it solves the problem afflicting all other Hallween haunted houses and hayrides: Why don't the monsters actually attack you? Because you shoot them in the head before they can get to you! 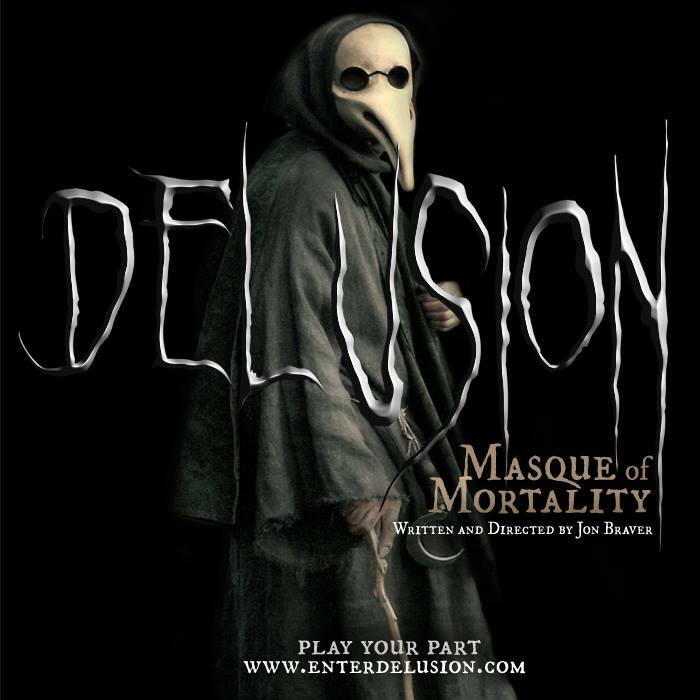 Based simply on the achievement of the past two Halloweens, Haunted Play's new Delusion: Masque of Mortality is destined to be a highlight this year. The Blumhouse of Horrors, which got off to a shaky start with its debut last Halloween, got off to an even worse start with their new show The Purge: Fear the Night, staged in the Variety Arts Theatre in downtown Los Angeles. We are sincerely hoping that they will follow the same trend-line as in 2012, going from going from disappointing to impressive. 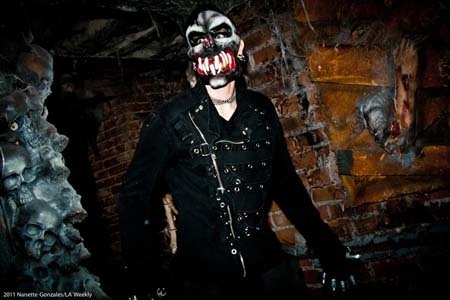 The Los Angeles Haunted Hayride in Griffith Park has been great since it first appeared in 2009. How could it not be even better this year? 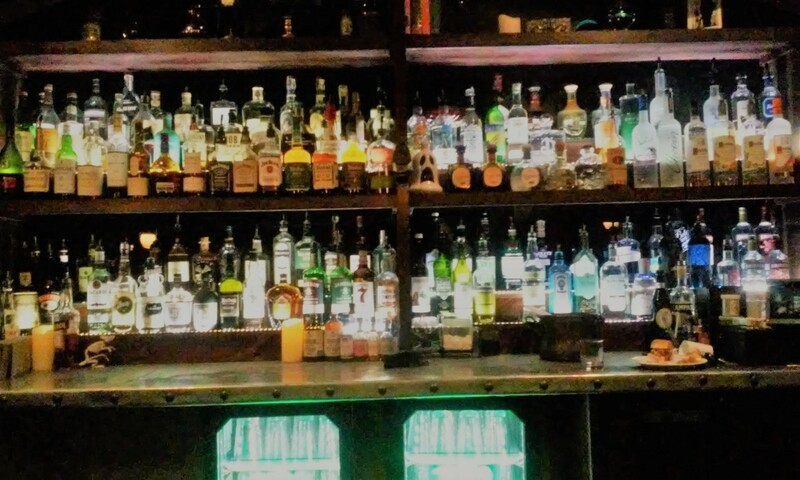 Old Town Haunt in Pasadena: There is no way we would miss the last chance to descend into the depths of these subterranean corridors. You should feel the same. Reign of Terror: We missed this Thousand Oaks haunt in Halloween 2012. We won't make that mistake this year. It keeps getting bigger and better - retaining what we loved, while adding new and different areas. FrightFair Screampark and Halloween Harvest Festival, in the parking lot at Pierce College in Woodland Hills: There seems to be little new this year, but the Factory of Nightmares Haunted House has long been one of our favorites; so is the outdoor Creatures of the Corn trail, which provides a sort of thrill you are unlikely to encounter at any other Halloween event in Los Angeles. We are curious about Rob Zombie's Great American Nightmare at the Pomona Fairgrounds. The mazes, of course, are themed after some of Zombie's movies (including the lamentable LORDS OF SALEM), but we are intrigued by the combo of Halloween haunting and life music. Too many Halloween events target teens with inappropriate dance music; it's nice to see a high-profile attraction making some attempt to find acts suitable to the season. Unfortunately, the 68 Cent Crew will not be putting on their annual Theatre 68 Haunted House. However, they will stage a scary play at the NoHo Playhouse: The Afflicted, a revised version of They're Not Zombies, which we enjoyed quite a bit when it made its debut in 2006. Finally, if you prefer history to horror, there is the annual Halloween and Mourning Tours at Heritage Square Museum in Los Angeles, which provide a chance to examine Victorian attitudes toward death, dying, and the Halloween season. And we are pleased to report that, after a two year hiatus, the Voices of Pioneer Cemetery are once more speaking from beyond the grave; their new presentation, Almas: A Day of the Dead Celebration, offers dramatic monologues , performed in the actual Pioneer Cemetery in Sylmar. 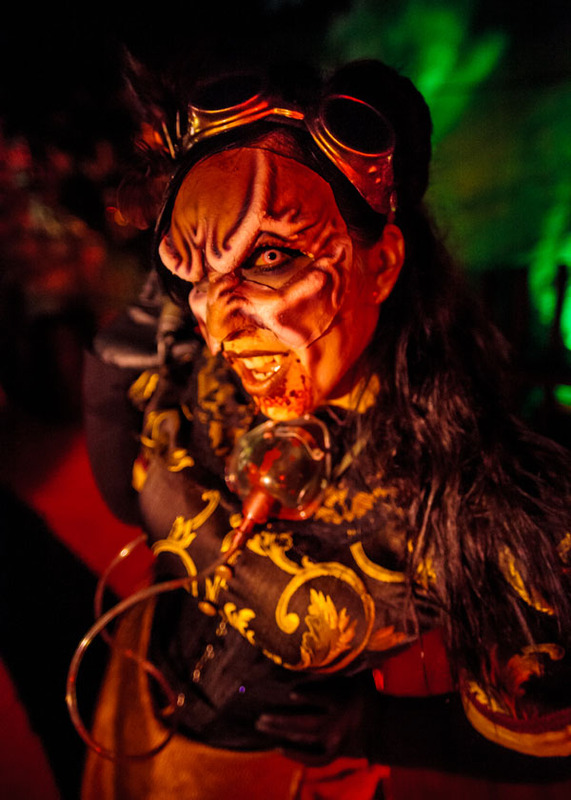 You can check our calendar for these events, or look them up on our page of Halloween Haunts in Los Angeles.